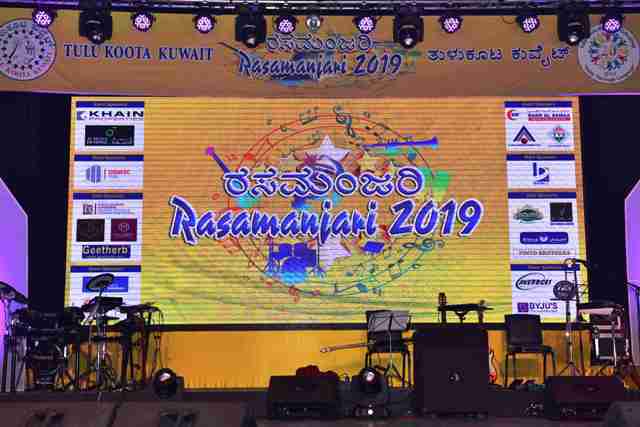 Tulu Koota Kuwait (TKK), under the dynamic leadership of President Mr. Ramesh S Bhandary organized Rasamanjari 2019, a live musical concert, an evening filled with top quality music and entertainment. 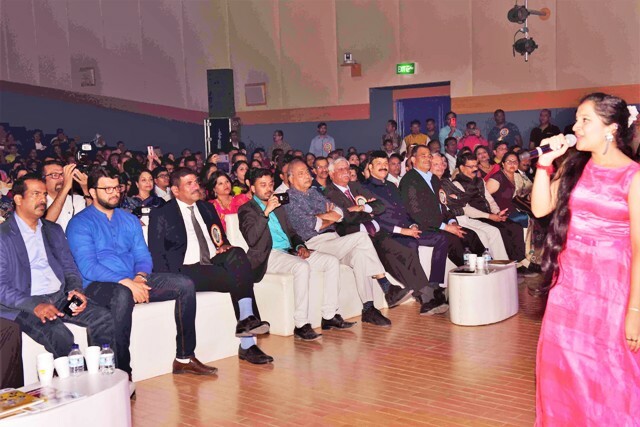 The event held on Friday, 29th March 2019 at the American International School, Kamel Al Rayes Auditorium, Maidan Hawally with full of entertainment. 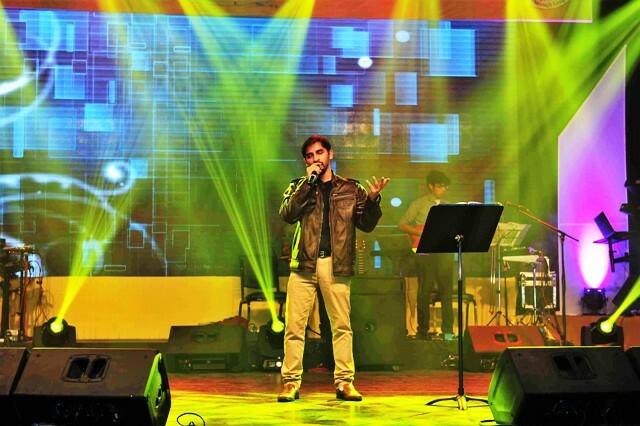 The Musical Nite featured by conspicuous guest singers from India, Kuwait, Qatar as well as well-known musicians from Kuwait. 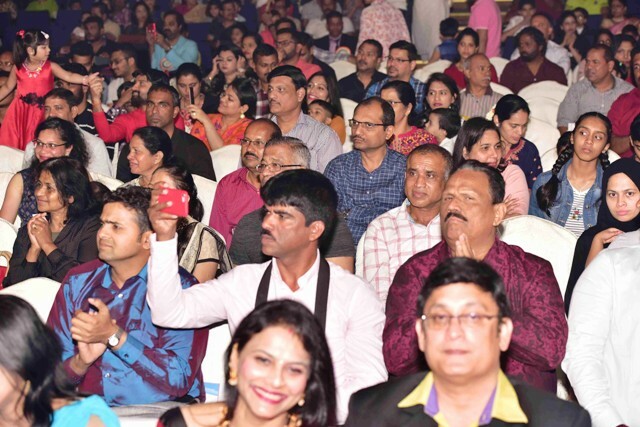 The classical dance, filmy dance, group singing and comical skits from TKK artists entertained the jam-packed audience. 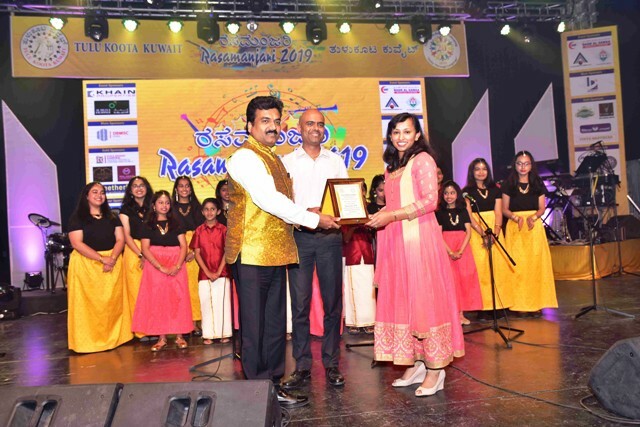 Dr. Manohar Prabhu and Ms. Priya Devadiga, talented members of Tulu Koota Kuwait welcomed the gathering briefly narrating the beauty of Tulunadu and its proud Tuluvas. 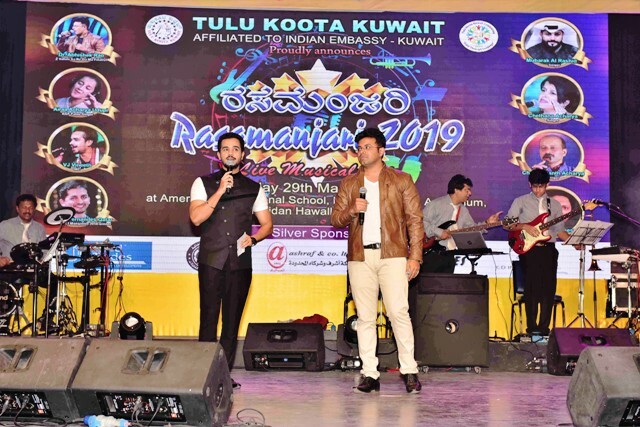 The concert commenced with the Kuwait National Anthem, followed by Indian National Anthem, and subsequently magnificent classical welcome dance performance by TKK Kids (Choreography Alaka Jithendra) seeking almighty blessings. 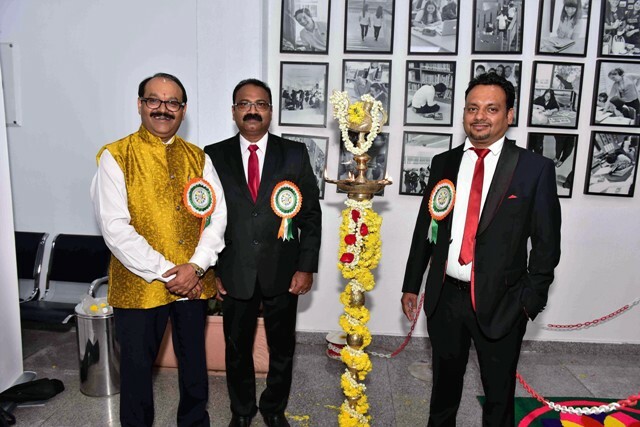 President Mr. Ramesh Shekar Bhandary, TKK Management Committee and Members of Advisory Committee along with the distinguished guests. Fr Bonaventure Rodrigues, Mr.Huzefa Abbasi from Al Mulla Exchange Company did the lighting of lamp. 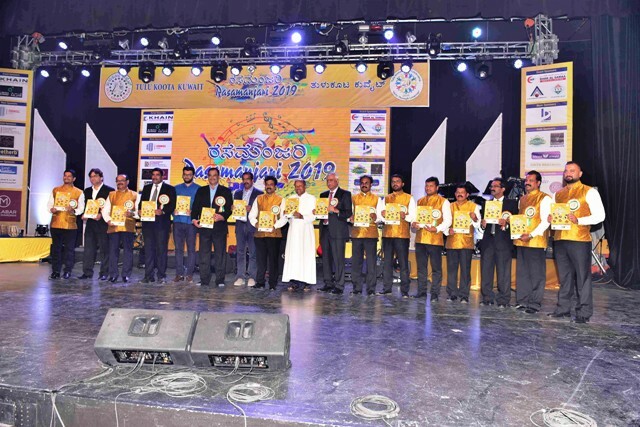 The president along with other dignitaries on the dais released the Rasamanjari-2019 Souvenir and the same has been distributed among the audience. 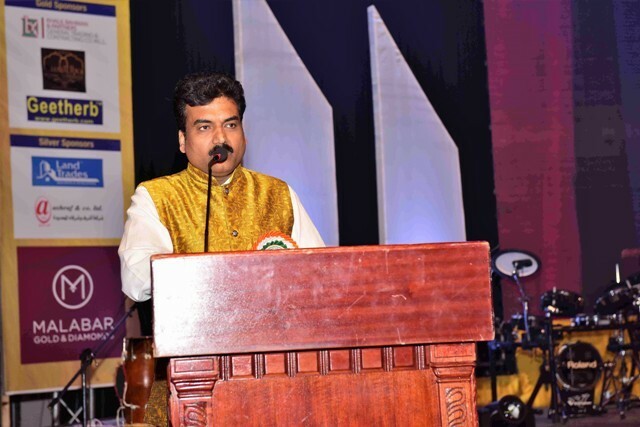 Mr. Ramesh Shekar Bhandary addressed the audience with his welcome note and explained the objectives of the association and the dedicated efforts by TKK members in achieving the same. 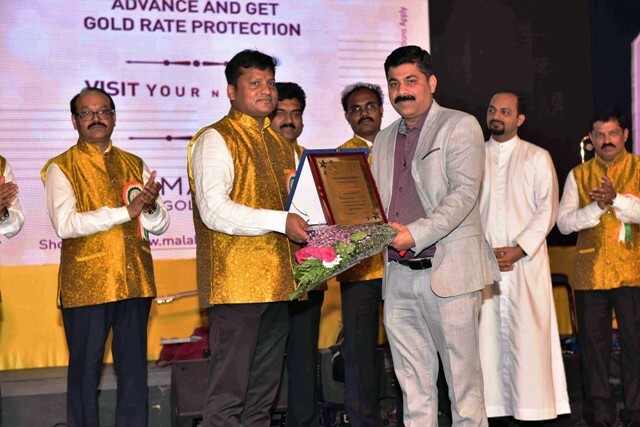 He listed some of the major achievements of Tulu Koota Kuwait and the social welfare support provided by the association in different areas of Coastal Karnataka (Tulunadu). He humbly called all the members and Tuluva’s to unite and put the efforts in one direction which will lead to the success, satisfaction and fulfillment. 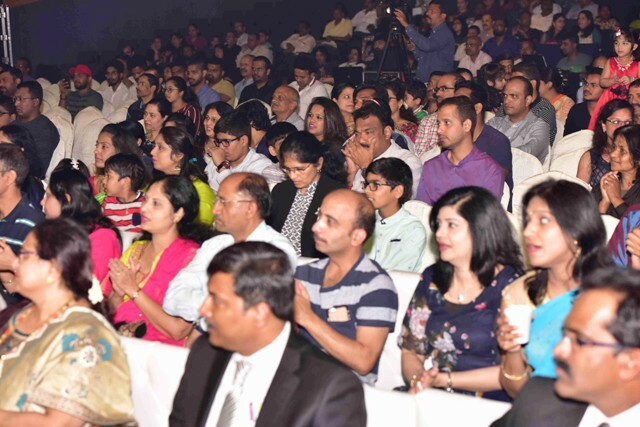 He heartily welcomed all the guests, sponsors, well-wishers, artists and the members of the association for the mega event and candidly thanked all the people for supporting in many ways for this event. 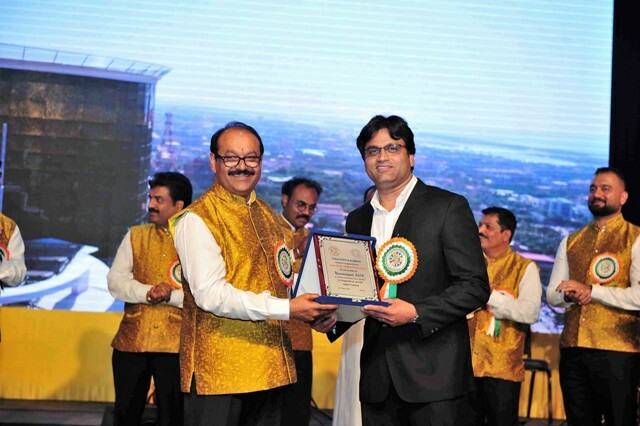 After the official inauguration the stage was taken over by VJ Vineeth, sandalwood and coastal wood actor multi-talented host from Mangalore and a well-known television personality with his unique style of hosting the event both on screen and off screen by his unique entry to the stage. 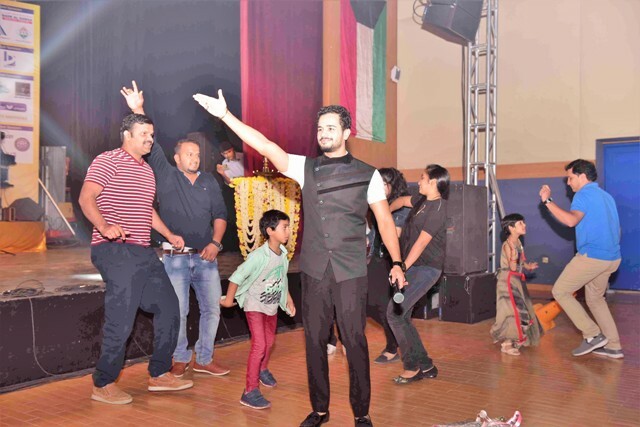 His multifaceted ability, confidence, smile and involvement kept the crowd connected till end and also conducted quick games in between the show with spot prizes to keep the audience lively and enjoying every bit of the show. 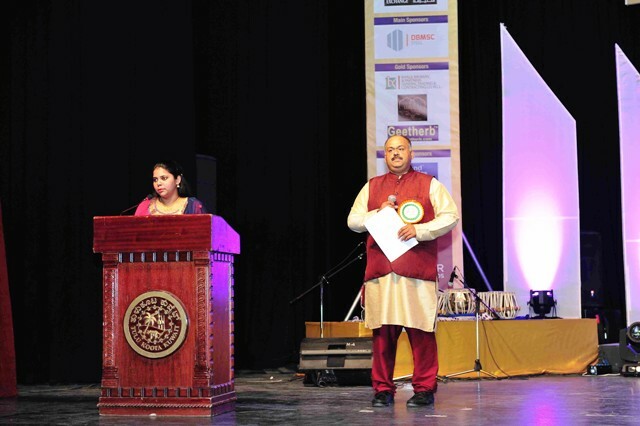 The melodious event featured performances by prominent well-known singers from Tulunadu, Qatar and Kuwait. 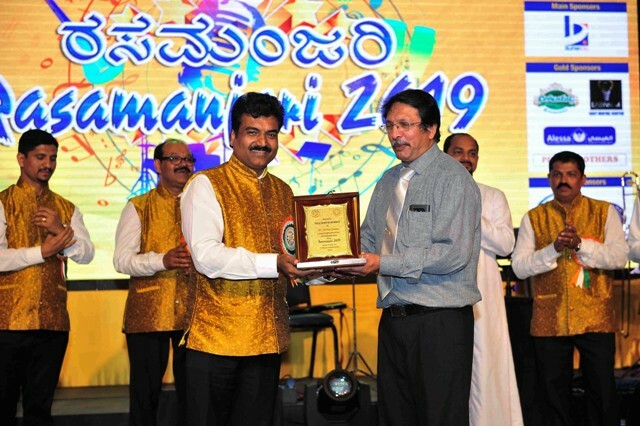 KGF fame singer Airaa Acharya Udupi, Carnatic classical and playback singer Chetana Acharya, Zee Kannada Vahini Sare Ga Ma Pa semi-finalist Dr Abhishek Rao Kordcal, multilivocal singer Chandrakanth Acharya Padubidri, Gulf Voice of Mangalore Season-6 winner Clement Fernandes from Qatar and distinguished Kuwaiti singer Mubarak Al Rashed Al Alzmi with the music of Music Maestro Adrian Gomes and his team. 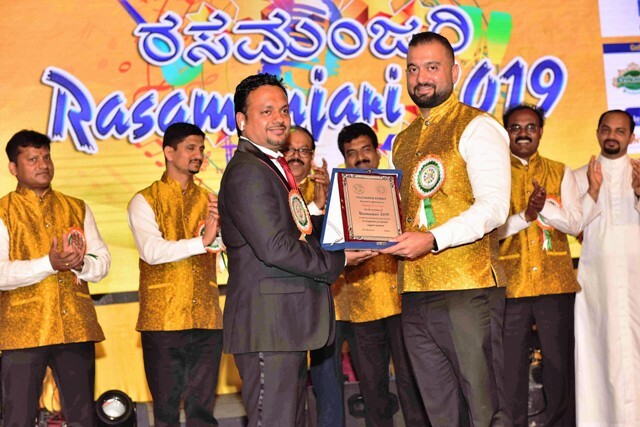 They rocked the stage with the choicest selection of energetic Kannada, Tulu, Hindi, Konkani and Beary music and dance tunes. 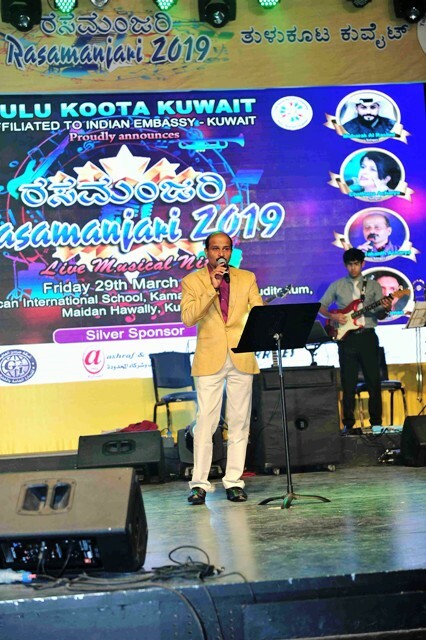 The music mood started with Tulu Koota title song 'Kadala Seemeda Boodai Siri' as the association celebrating 20th year of existence in Kuwait with the motto "unity through language". 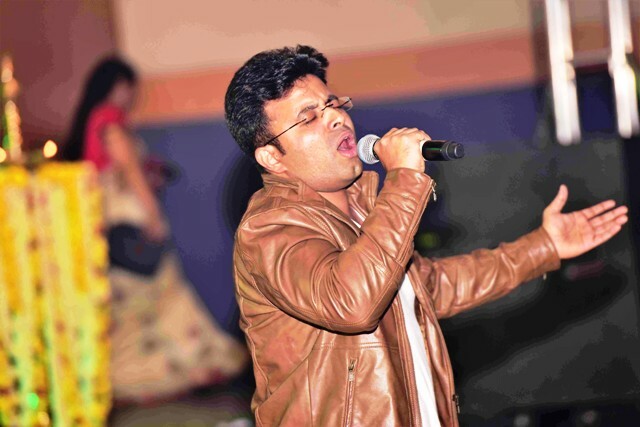 This song was written by Mr Tarendra P Shettigar, Kuwait and Music arranged by Sharath Ucchila. 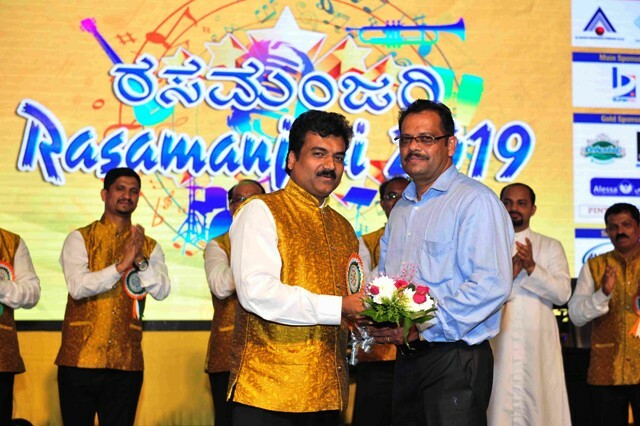 Multilingual solo and duet songs such as Tharikeri Erimele, Chand Sifarish, Aripo Teripo, Jokae, Nilya Gaganar, Aankh Maare, Shilegalu Sangeeethava, Yenna Palgende Srishti Maltena, Kalekule Kalotu, Albela Sajan, Moned Ninna, Mahive, Hey Jaleela & Olavina Udugere, Kudlada Chameli, Thumne Mare Entry Yare and Ba Ba Chnadira Namma Manege. 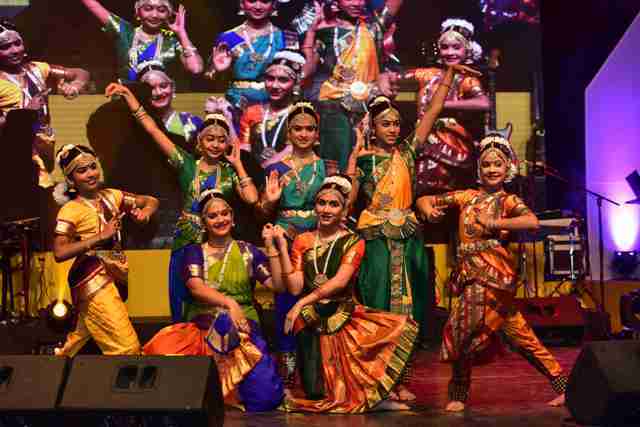 The audience thoroughly enjoyed foot tapping dances of TKK Kids Choreographed by Shobha Harish Bhandary and Akshay Sudhkar Bhandary. 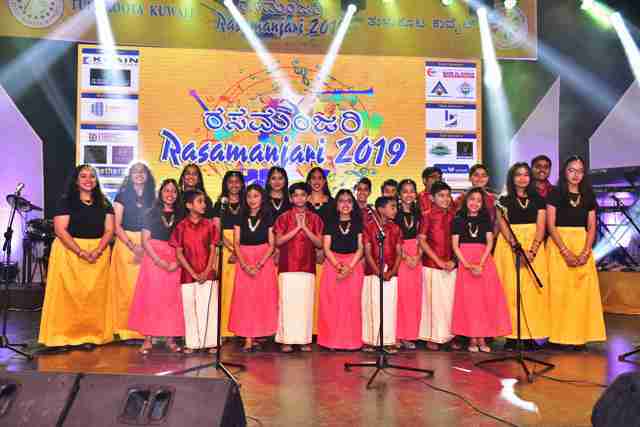 Group singing in 3 Tulunadu languages mixed with dance steps by kids of Chorus22 group was feast to eyes and ears which was well choreographed by Linette D’souza and Steven Misquith. 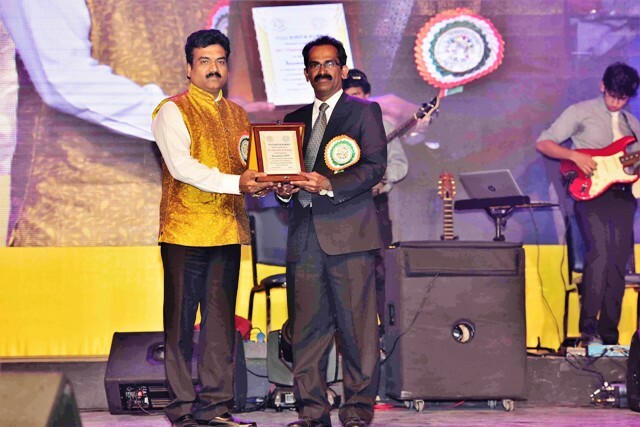 The President and the committee members of Tulu Koota Kuwait created a History this time by injecting the unique concept of making Kuwaiti Singer Mubarak Al Rashed Al Azmi to sing the Tulu evergreen Song "Mokeda Singari" from movie 'Pugetha Page' with admirable fluency. 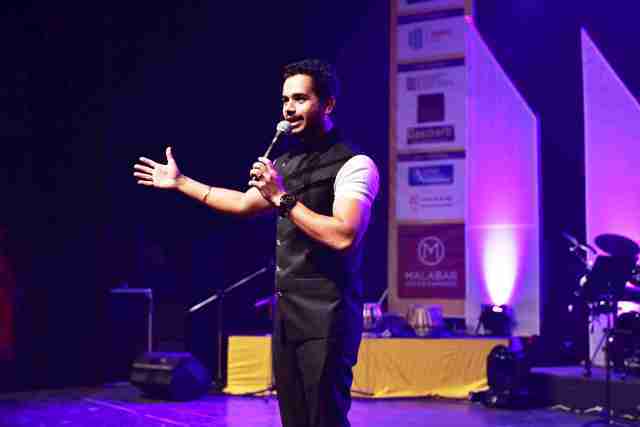 This is the first ever Tulu song sung by a Kuwaiti national for a public event till date. 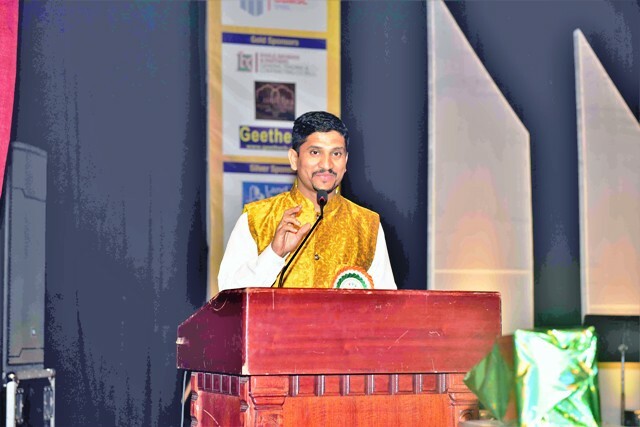 The beauty of the rendition was, Mubarak sang the latter part of the Tulu song in Arabic. 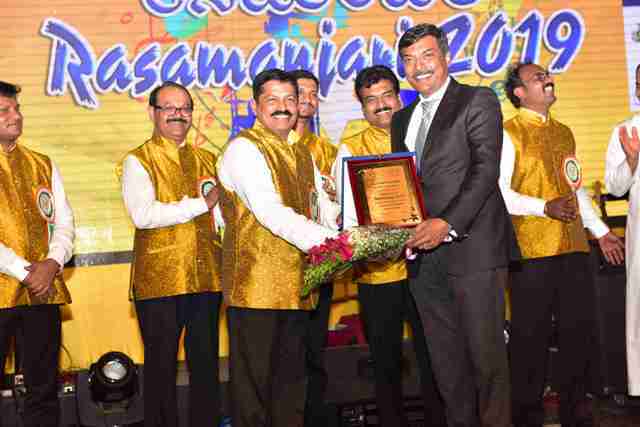 When Some TKK beauties came to the stage as 'Mokeda Singaris' and insisted him to sing again for them, Murbarak gracefully obliged with the chorus. 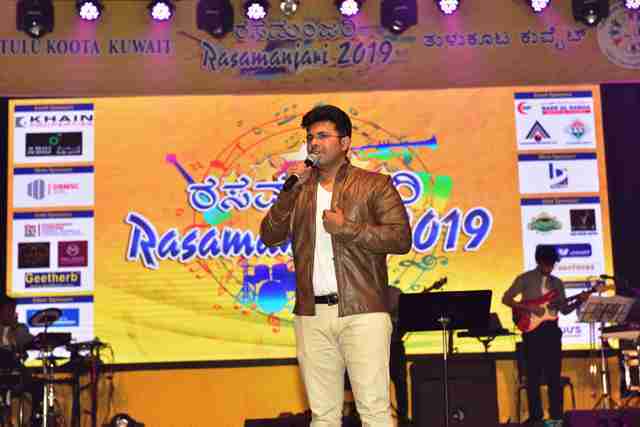 Medley from visiting artists with songs Banallu Neene, Minchagi Neenu Baralu, Nee Meetida, Kohi Kahe Kehata Rahe, Dil Bar Dil Bar, Bathamiz Dil was added attraction from team. 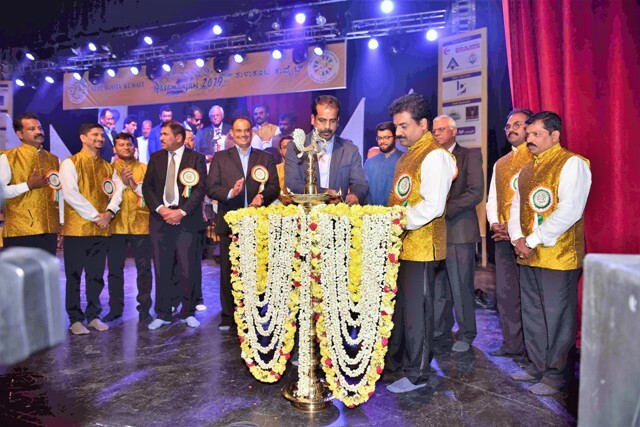 A rich tribute was given to Rebel star late Ambarish with his popular songs along with audience waving the lights from their mobiles. 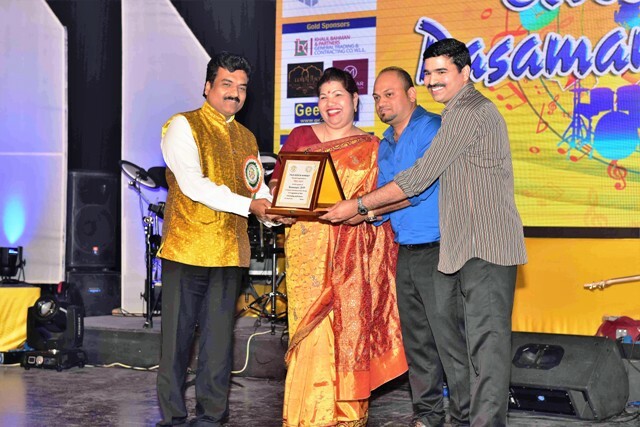 Our talented members of Tulu Koota Kuwait Lucy Lobo Aranha, Abdul Razak, Lional Mascarenhas, Rajesh Cardoza Purandara Manchi(background Music) showcased two comic skits, which came out as a special package. 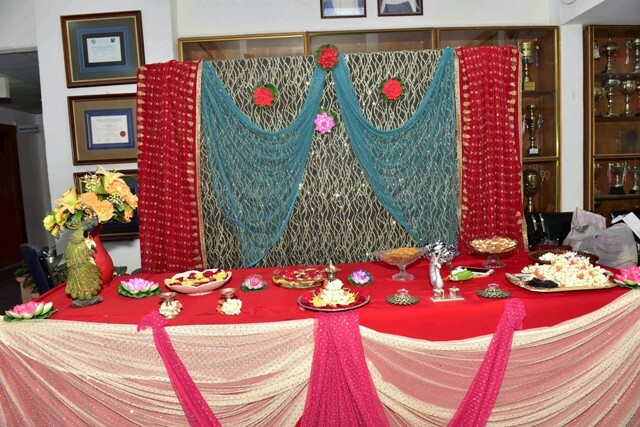 No event is successful without financial support. 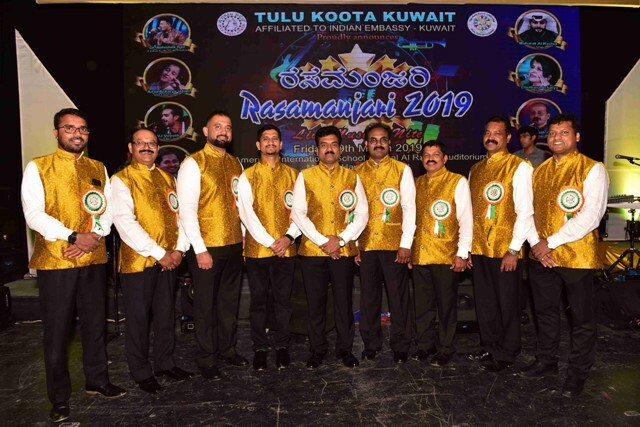 Many organizations and individuals from Kuwait as well from India had supported Tulu Koota Kuwait through their sponsorship for this event. 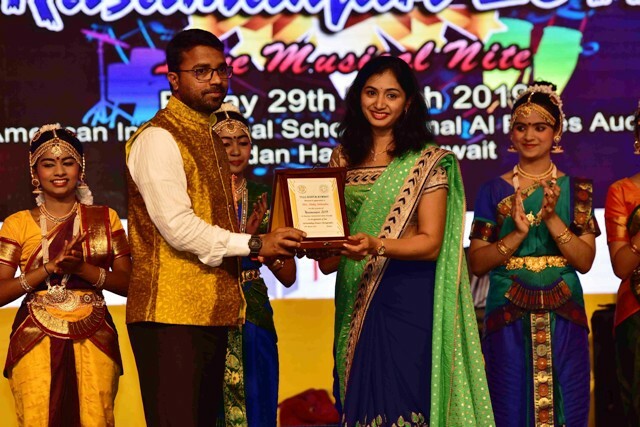 In appreciation of their support, Tulu Koota Kuwait honored representatives of such organization with bouquet and memento as a token of gratitude. Adding to it, guest artists, musicians, choreographers of the dances were also honored with memento in appreciation of their performance. Representatives of TKK Media Partners and other supporters also honored with a flower bouquet. 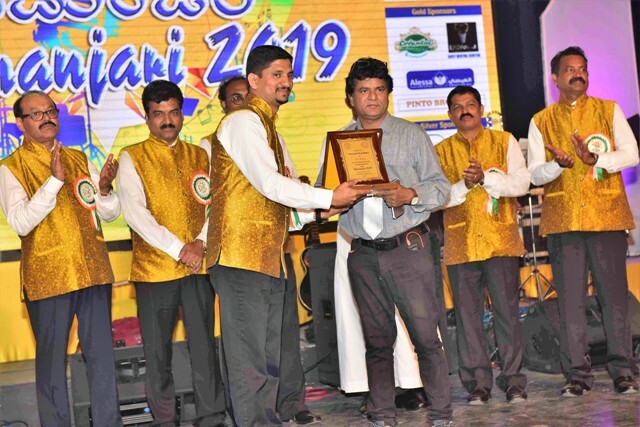 The program was well-coordinated by the Cultural Secretary Mr. Abdul Razak,TKK management committee and all the members, sound/Lighting by Waves Event Management/Anand. Souvenir was designed by Popular artist and designer Manoj Kumar, Photography by Mr Alban Dsouza. 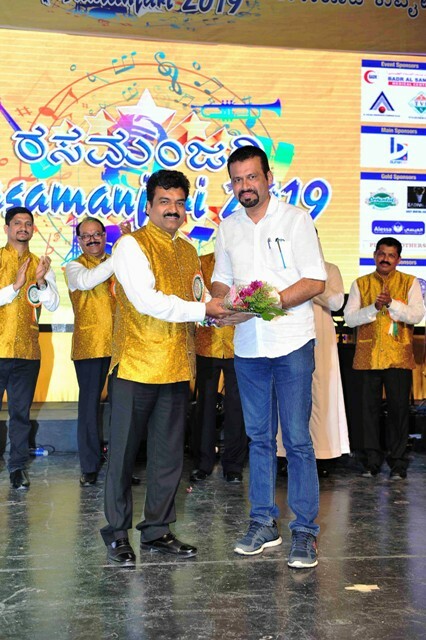 The General Secretary Mr. Vijay Wilson Albuquerque whole heartedly thanked sponsors of the event, Artists, all committee members of the association and all other organizations and individuals who have supported the association in organizing and presenting the colorful event Rasamanjari 2019. 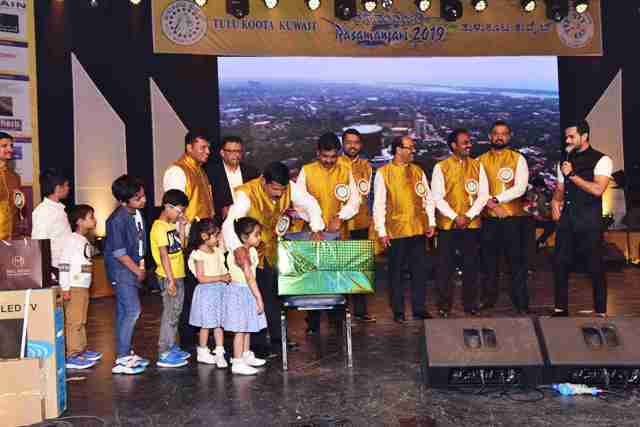 In the later part of the show Raffle Draw has been conducted where 5 lucky people won exciting main prizes while 15 other bagged consolation prizes. 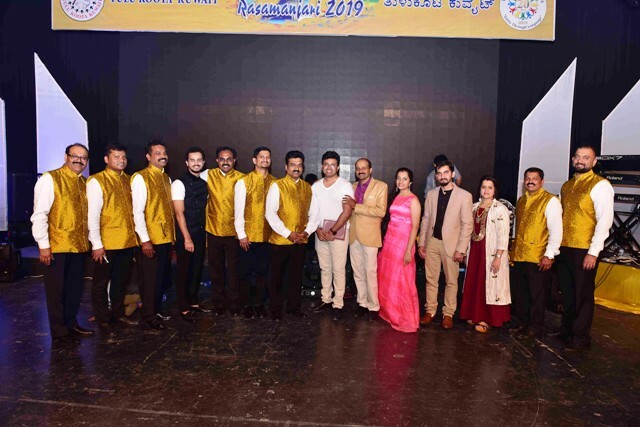 The Mega musical fest in the square concluded with a charming sophisticated ensemble with Baila with the audience who also put steps in equal enthusiasm and danced gracefully on the stage. 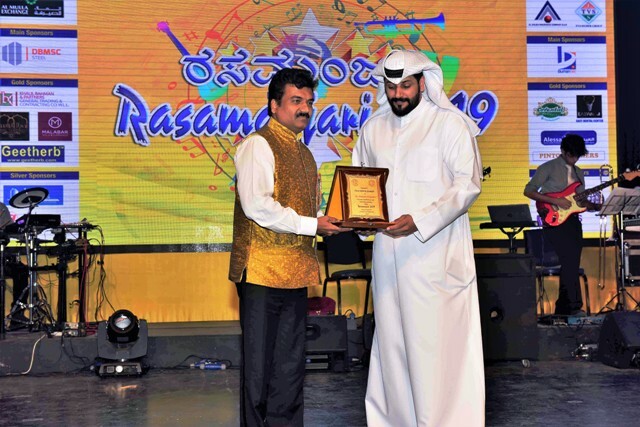 Al Mulla Exchange Kuwait, Khain Properties & Developers Udupi, Badr Al Samaa Clinc and Al Ahliea Insurance Co. were the event sponsors of this glorious Musical event.